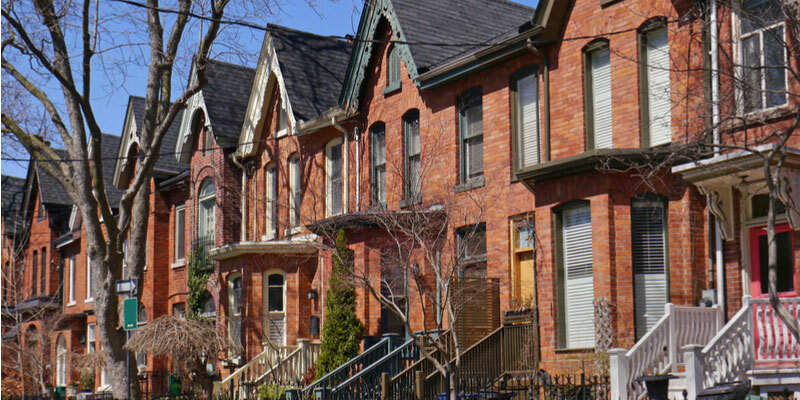 Is Brick a Good Insulator For Toronto Homes? Tuck Pointing, Brick and Chimney Repair Toronto | Turnbull Masonry Ltd > Blog > Blog > Is Brick a Good Insulator For Toronto Homes? Winters can get cold, causing many of our clients to question if brick is a good insulator for Toronto homes. Brick is often sold as a great insulator, but the truth is that there are different types of brick structures and certain qualities influence overall insulation capabilities. For instance, brick veneer homes tend to offer better insulation than solid brick masonry. Brick has great thermal mass, moisture permeability and it doesn’t rot or need regular coats of fresh paint, but it doesn’t necessarily stand out in terms of insulation. While brick can help improve energy efficiency by trapping and slowing the release of heat and cold, the best insulated brick buildings are typically brick veneer. Solid brick, solid masonry, double brick, no matter what you call it, it is a building made from solid brick. Solid masonry includes an outer layer of brick as well as an inner layer, technically known as the ‘wythe.’ Solid masonry is the appropriate term for buildings where the inner wythe is not to made from brick, in which case it’s not actually solid brick. The wythe can be made from concrete or cinder block instead of bricks, in which case you may experience better insulation. Solid masonry walls are incredibly strong but they don’t provide the same insulation as brick veneer walls. Brick veneer differs from solid masonry because it doesn’t hold up the structure, the structure holds up the brick veneer. Brick veneer is real brick, no fake bricks here, but if you pull away bricks you’ll find the bones of a wood home beneath. Brick veneer became more popular around the time insulation was introduced to building codes. Air, as it turns out, is one of the best insulators. As a result, the best insulators are light and airy—which is not a good description of brick. A brick veneer house allows for airy material to sit between the siding and frame of the house, creating better insulation. The construction process involves building the shell of the walls, covering them with sheathing and then adding insulation before brickwork is ever installed. When bricks are put in place, metal ties are attached to the wood frame studs. Metal ties are intentionally bent so that they sit horizontal in mortar joints after the wall is complete. Brick veneer is constructed on the outer banks of the foundation wall, allowing one-inch of air cavity between sheathing and brick veneer. To determine a material’s overall insulation, you must assess its R-value, or its ability to resist heat flow. The better insulation a material offers, the higher its R-value. R-Value measures thermal resistance, as well as the temperature shift caused when heat passes from one unit to another over time. One-inch of solid wood has an R-value of 1, but one-inch of solid Brick has on R-value of just 0.2. A solid masonry home with 8-inch thick walls and 1-inch of plaster could have an R-value as low as 1.8, while the recommended insulation in walls is R-11. A building with an R-value of 1.8 is going to offer poor insulation, beware when those cold winds start blowing through. Since brick absorbs heat and chill and then slowly releases it, it may take a few days of a hot or cold spell before interior temperatures start to reflect the weather, but it’ll happen. The thing to remember is that R-values are additive, so if you attach a material with 10 R-value to something with 2 R-value, the total is 12 R-value. That’s why brick veneer homes tend to have higher R-values than solid masonry. R-value is not the only important factor. If a building is too insulated water can’t get in or out, leading to the potential for rotting walls. Additionally, brick’s thermal mass helps cool homes in the day time and heat them up at night. The same effect isn’t as prominent during the summer when temperatures are all around higher. Want to know more about your Toronto brick building and how you can make it better, stronger, or more insulated? Contact Turnbull Masonry today!